Gold: Gold has always been associated with traditional investment. But even today, it has almost same significance as it was holding several years ago. Although one thing that has changed in these years is, now you are not required to buy physical gold in order to invest in Gold. You can also buy Gold ETFs from the stock exchange in the form of paper and even you can trade Gold ETFs in the same way as any other stock. If you are planning to buy Gold ETFs, just remember to ask for brokerage and annual charges that you may need to pay. Different brokers have different charges, so you need to understand all the charges that you may need to pay. The main benefit of ETFs is you do not have to worry about the quality of Gold as it is in the form of paper and you may sell it at the current market price whenever you want. Also you do not need any storage space as is the case with physical gold. 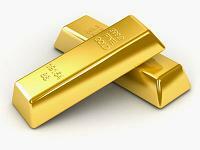 Find out whether is it safe to invest in Gold? If you are buying Gold especially for investment purposes, you may consider buying Gold ETFs. But remember Gold is considered as a long term investment, you may not get good appreciation in your investment if you plan to invest for medium term. It may give you good returns in short term due to its momentum nature but in medium term, you may not get good returns. Due to its dependency on the global market, it is not considered as the 100% safe investment. So, think for the long term while investing in Gold. Property: Buying a property (house) or land is considered as the best investment option, but to invest in property, you need to have a good amount of money with you. Before investing in property, you should do some basic research of the locality/area to know the future prospects of that area, whether there is any scope of development in that area or not. If that locality is already developed and no further development is expected, then chances are you may not get much appreciation of the land price in the short term. But if the locality is about to develop, then you will see good rise in property rates in a short period of time. This investment option again is not a 100% safe option, as you never know when the price of the property may fell down as what happened in US in the recession due to sub-prime crisis. So, if you are planning to invest in property, you should consider investing in up-coming localities and small cities that are near to metros to see good appreciation on the property rates. These are some of the low or moderate risk traditional investments that you can opt for. Though these investment instruments are also not 100% secure, but still you must invest some part of your money into any of these investment instruments to beat inflation and to grow your money.